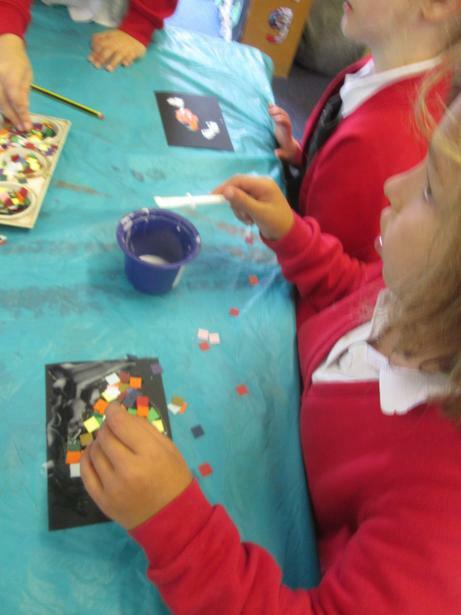 We learnt about how rich Romans decorated their walls and floors with pictures made out of small, coloured pieces of stone called mosaics. 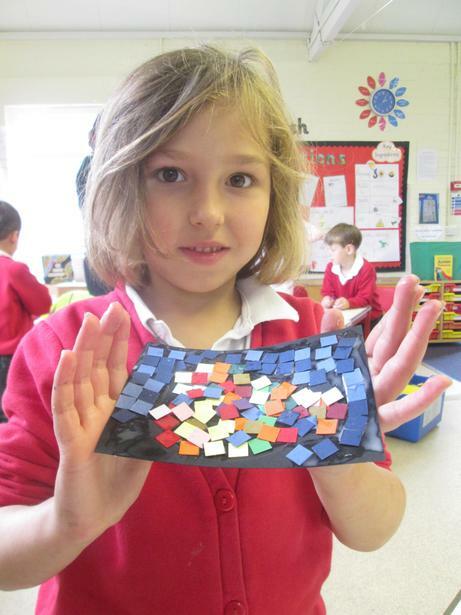 We looked at examples of Roman mosaics and then designed our own. 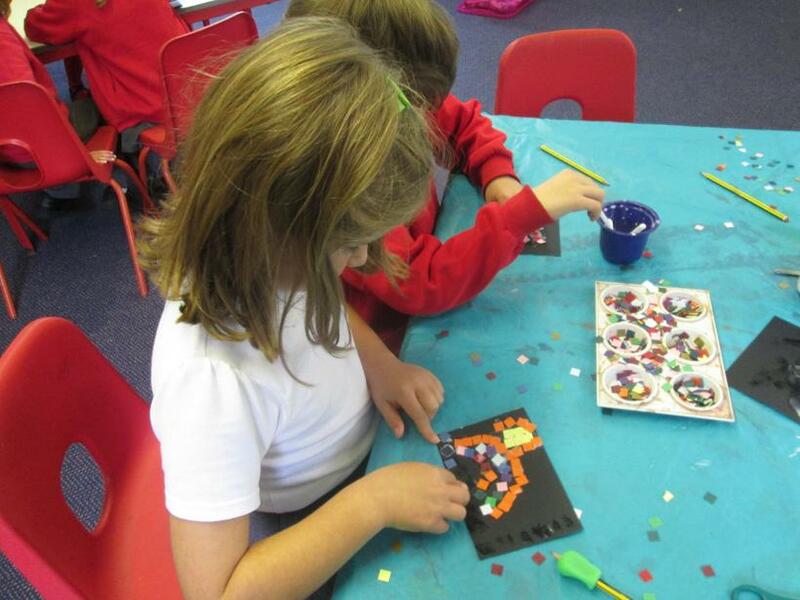 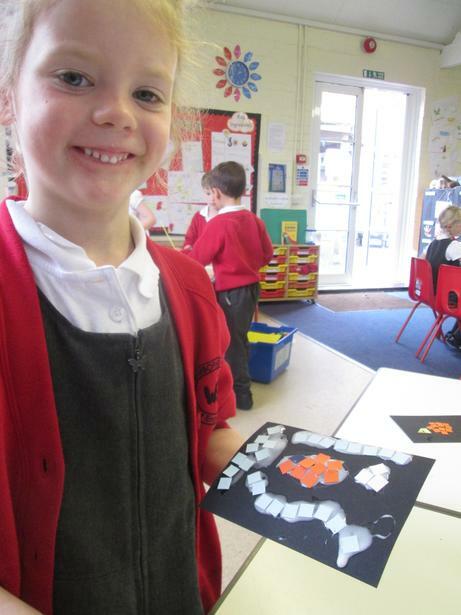 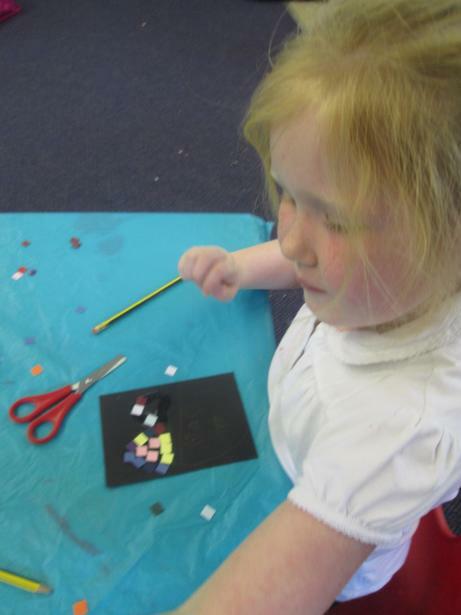 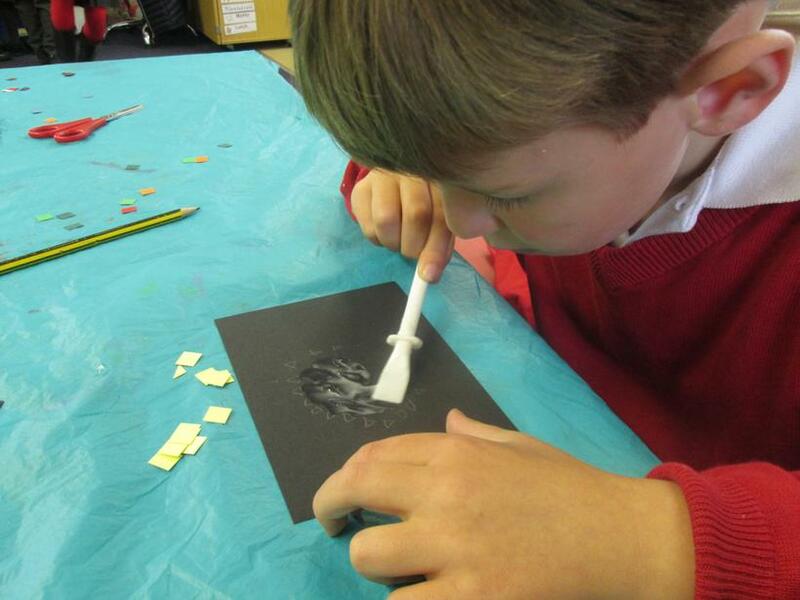 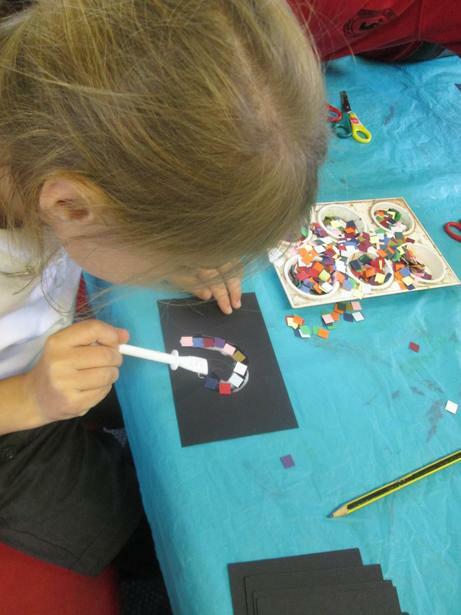 We began by sketching our designs in pencil before adding mosaic tiles to create our very own works of art. 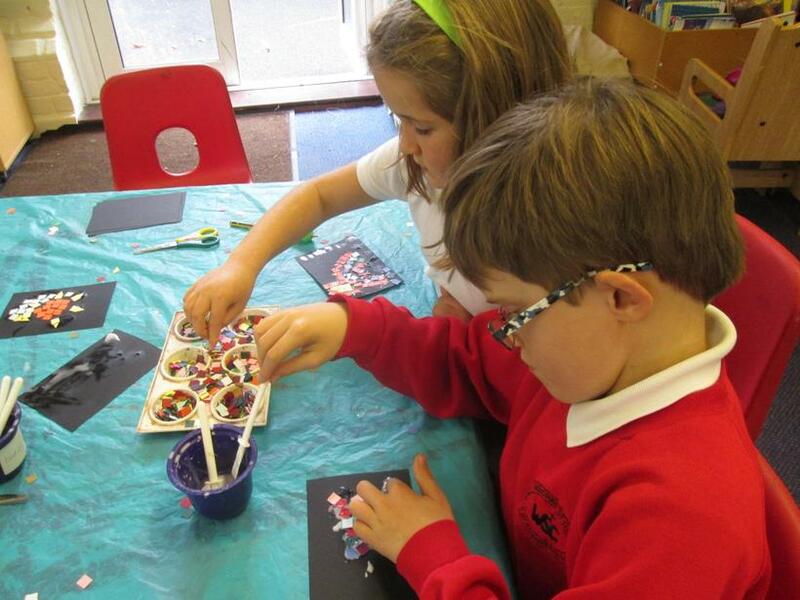 They would look great in any Roman Villa!